If cleaning your home or office is a complicated job for you, something you don’t like, something that needs to be done regularly, but you don’t have time for, call Cleaning Chicago, you can pay us for the cleaning service and you can have your home or office maintained as clean as ever than before. No matter how hard you try, occasional cleaning or frequent cleaning needs is unavoidable because dirt makes its way there – no matter how hard you try. Whether you need home cleaning services on an occasional basis or on a regular basis for home or commercial space for maintenance, we are here to provide the kind of service you are looking for. When you search for cleaning companies you see a lot of them. We are special when compared to many other companies there, because we provide a consistent cleaning service. The quality of service that you get from us, when you sign up with us for cleaning help remains the same. Cleaning situations are different and no two cleaning situations are alike. Our employees have a natural cleaning sense and they handle the most complex cleaning situation with ease, eventually providing the best cleaning help possible in any situation. Our employees are screened for integrity of behavior and skill level. Therefore, you can be sure you are getting well-integrated and reliable people working on your property. We don’t keep you on waiting list, for we have a long database of manpower help to cater to small and big level cleaning jobs. Our working schedules are well planned and organized. In cases where we cannot handle the job, we let you know and redirect you to immediate help. When we accept a project we are on time, we don’t play around with your time or waste ours. Anytime you are looking for help with tidying your place around, call us at Cleaning Chicago. We have been successfully serving Chicago surrounds for over years now. Our prices are affordable as well. Office cleaning is a time consuming chore that can quickly become a hassle. Many surfaces found in an office may require specialized care that you are too busy to perform yourself. Any workplace can benefit from the employment of a professional janitorial service. Expert Cleaning Chicago offers the services of professional cleaners who have the skills to thoroughly clean a commercial office while treating delicate surfaces such as leather or expensive rugs appropriately. Let our licensed company give you peace of mind regarding the state of your office and take the bothersome work of cleaning off your hands. A professional janitorial service is equipped to clean a variety of surfaces including carpet, marble and tile. Each floor, rug or piece of furniture is efficiently cleaned using an appropriate and quality cleaning product that will leave it looking spotless and extend the life of the surface. Furniture covered with leather is an example of something that can easily be damaged by faulty cleaning techniques or even by lack of regular and proper maintenance. A professional cleaning company ensures that these types of pieces are treated with special consideration. Regular cleaning will also continually remove bacteria or dust particles from the air that may exacerbate allergies or breathing conditions of employees and customers. Expert Cleaning Chicago will improve the appearance and atmosphere of your office. Instead of taking valuable time out of your schedule to maintain workplace cleanliness, trust a janitorial service that is dedicated to quality customer service and spotless results. Searching for the most professional office cleaning for regular office cleaning isn’t just about cleaning. It’s also about trust. A business office needs the kind of janitorial service that has a reputation of trust, reliability and experience. This is exactly what business clients of Expert Cleaning Chicago offers. 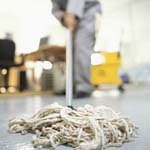 They are a licensed, bonded and insured cleaning company. So you are assured of top-rated janitorial service and quality. When your employees walk into a freshly cleaned office, this is a boost to their morale and their productivity and Expert Cleaning Chicago helps provide that added by their thorough attention to detail. When reputation and experience are a matter of principle for a company like Expert Cleaning Chicago, clients receive real value for the cost of cleaning services. Businesses look for a commercial office cleaning service with a proven track record of efficiency, cost-effectiveness and timely facilitation of their duties. Contact Expert Cleaning Chicago to discuss details of a cleaning service contract such as frequency of service and cleaning service days or evenings. Expert Cleaning Chicago business contracts are designed with commercial budgets in mind. Before contacting, make a few notes on the important areas to be serviced, the specific type of cleaning services required and the estimated cost. Expert Cleaning Chicago staff will be happy to answer any questions. Life is busy, and with a combination of career and family responsibilities, many families find it difficult to maintain order at home. It’s frustrating to complete the day, or even the week, with little energy left to attend to basic housekeeping, and it’s becoming more common that families enlist the help of housekeepers or Chicago maids. In some cases, it can be frustrating to deal with an individual housekeeper. It’s especially devastating to pay for a service that never happens, and when you find your check cashed but the work not completed, it just adds to the frustration of not having time to do the work yourself. Professional Chicago maids, though, provide for a more positive result. With a licensed and bonded company, you can count on more reliable service. There is accountability with a company that invests in maintaining insurance, and there is peace of mind for the homeowner who knows that their valuables are safe and that the needed work will be completed. A professional company will approach the tasks in an organized manner, assuring that the expected cleaning is completed systematically. Security of your home is protected through company procedures and personnel screening. A reputable cleaning company recognizes the position of trust that is inherent in their business, and uses the measures of licensing, bonding, and carrying insurance to communicate their trustworthiness. Cleaning services can provide welcome relief for the busy household. It’s wonderful to arrive home at the end of a busy day without facing a mountain of laundry and a sink full of dishes. Professional service assures a more relaxed and satisfying result for the customer. For many people who lead busy lives, cleaning the house may be low on their long list of things to accomplish. Consequently, professional cleaning service can be of tremendous help to someone who needs to clean the house, but doesn’t have the time to spare. Here are a few of the benefits of hiring a professional crew to clean the house. First, a troupe of professional cleaners has the skills and experience to clean a house in an efficient way. Each member of the licensed, insured crew knows how to clean all sorts of items so they will look their best. Furthermore, bonded workers are careful when handling a homeowner’s possessions and moving furniture while vacuuming a carpet. Another benefit of hiring professional cleaning service in Chicago is that they arrive with the proper equipment to get the job done right. Chances are, a person who cleans his or her own home doesn’t have the pieces of equipment and supplies of a professional cleaning company. With the proper equipment, furniture, carpeting, and other items in a home can be cleaned in a thorough way that will please the homeowner. Finally, professional cleaning services are anxious to please their customers. They arrive on time and ready to clean a home with efficiency. They’re trustworthy and strive to give the rooms of a home a renewed appearance. People who hire a professional cleaning company get to enjoy the atmosphere of a clean home without having to pick up a dust rag! When your clients and customers visit your office, it’s important that you make a positive impression by ensuring that the appearance of your office is clean and tidy. Without a Janitorial Service that you can count on day in and day out, it’s hard to achieve the level of professionalism that you desire. By hiring an experienced cleaning crew to tend to the janitorial needs of your office, you know that your business will always look its best. Many business owners are concerned about allowing a Janitorial Service access to their office after hours. When you hire a service that is licensed, bonded and insured, however, these worries become irrelevant. You offer a professional service to your clients, and it’s crucial that you hire only professionals to clean your office as well. A professional cleaning service is able to clean your office with top-of-the-line products and equipment and a sufficient number of employees to get the job done right. When it comes to janitorial services, you only get what you pay for. While some business owners may be tempted to skimp when it comes to office cleaning costs, the results may be substandard as well. Instead of paying one of your employees extra to clean up after hours or hiring a local neighborhood housewife to perform your cleaning chores, why not hire the best and depend on a team that knows how to achieve the results you desire? Call a professional cleaning company today for an estimate and employ the one of your choice for the results you deserve.